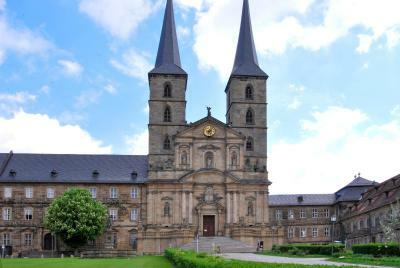 Lock in a great price for Welcome Kongress Hotel Bamberg – rated 8.4 by recent guests! The breakfast was great--so various and delicious! Dinner was really good too. But the best part was the staff--especially Benjamin and the beautiful older woman whose name I am blanking on, but who gave me a warm welcome and called me a taxi each morning. The waitstaff at the restaurant were lovely too, though they must have been run off their feet by the huge conference being hosted. Hotel's position is close to the centre, within just a few minutes walk. The staff is friendly and helpful. The breakfast is varied and proper. I liked the location, it is close to the city center and has a view of the river. Within walking distance to city center. Parking on site (fee). The location was perfect! within a lovely walking distance into the main town and major areas of interest. The breakfast spread was amazing!! The hotel was spotless; the staff extremely helpful and friendly; the restaurant delicious and the breakfast was excellent. 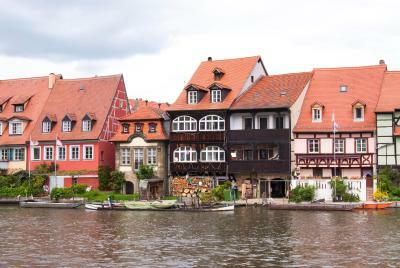 This is a very comfortable, quiet and friendly hotel in a lovely riverside location within a few minutes walk of the centre of Bamberg. The buffet breakfast was very good. 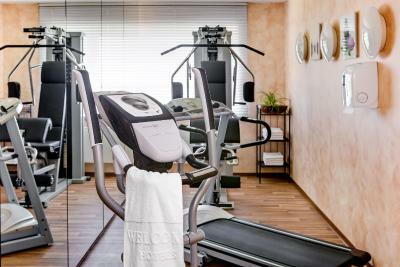 Pleasant, well equipped rooms, with a good breakfast. Good parking. Welcome Kongress Hotel Bamberg This rating is a reflection of how the property compares to the industry standard when it comes to price, facilities and services available. It's based on a self-evaluation by the property. Use this rating to help choose your stay! 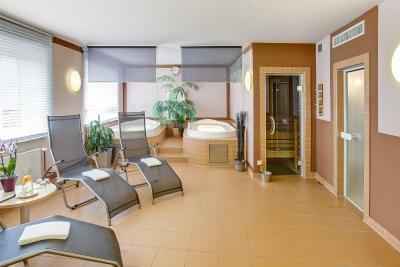 The Welcome Kongress Hotel Bamberg's spa area includes a sauna and a steam room. Guests can gain access to the area for a small additional fees. All rooms include a complimentary bottle of mineral water. 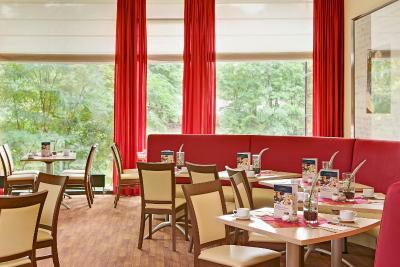 The Welcome Kongress Hotel's varied breakfast buffet is served each morning in the Restaurant Regnitz. The hotel's rustic Plückers tavern serves Franconian and international food. In fine weather, this is served in the beer garden. The Welcome Kongress Hotel provides an underground garage (for an extra fee). 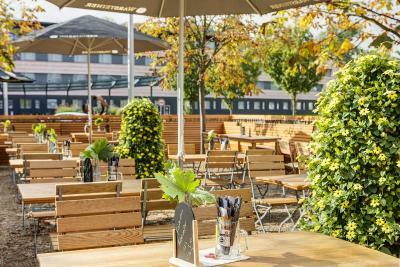 When would you like to stay at Welcome Kongress Hotel Bamberg? Contemporary-style room with free wired internet and a flat-screen TV. Also includes 1 free bottle of water per stay. Please note that in this room no extra bed can be accommodated. This room includes a coffee maker as well as an electric teakettle. 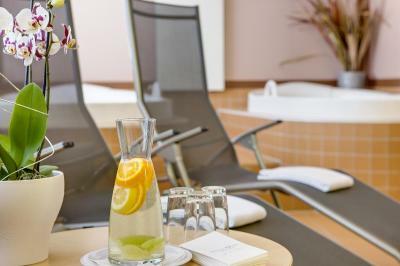 A complimentary bottle of mineral water per stay is also provided. 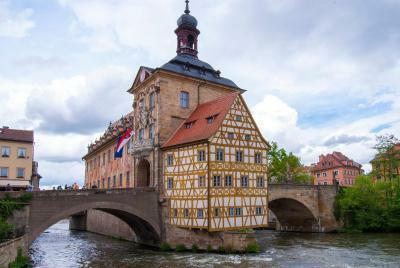 House Rules Welcome Kongress Hotel Bamberg takes special requests – add in the next step! Welcome Kongress Hotel Bamberg accepts these cards and reserves the right to temporarily hold an amount prior to arrival. Please note that an extra bed is only possible in the Business, Executive and Suite room categories. When booking more than 5 people, different policies and additional supplements may apply. I would have liked free access to the spa and fitness room, which is usual in my country. But that's a small complaint. Not so far from the city. No mini bar in our room. Considering the high temperatures, it was unpleasant not to be able to have some cool water readily available. Due to several activities, congresses and amount of people, the staff was to busy and special requests or refill of the empty dishes. The wifi in the hotel did not work very well which was disappointing. Assigned room was the super-noisy one in front of the elevator, despite specifically asking for a quiet room during the booking. Had to ask for a change of room, that anyway the personnel kindly performed.